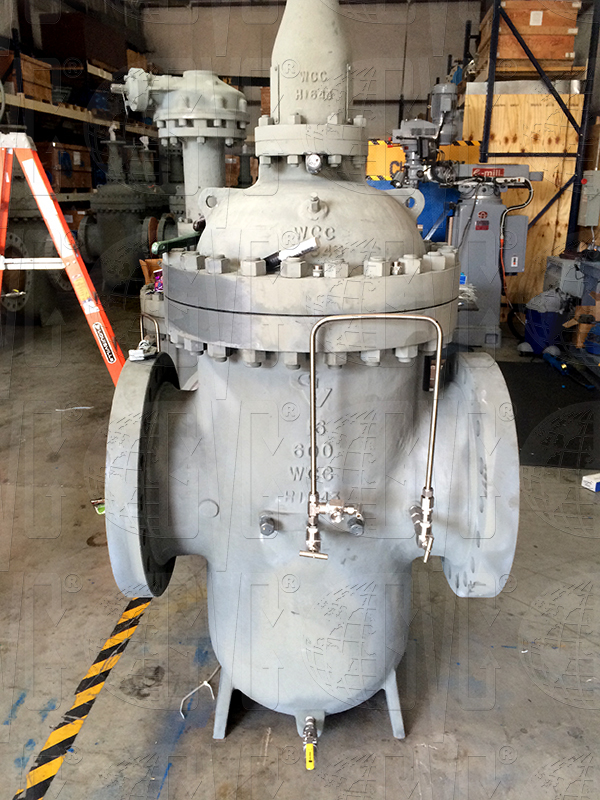 One of our newest valves on the market is the Through conduit gate valve. Sometimes also referred to as Thru conduit. It is used for pipe pigging, but can be found more in “pipelines of subterranean heat steam, petroleum, natural gas production, transmission, and storage” The GVC Thru conduit gate valve is API 6D certified and has Double Block and Bleed capabilities. We offer these valves in 2” all the way through 36”. Many companies in the petrochemical industry prefer to use the Thru conduit gate valves as the valves are more suitable to corrosive fluids versus their ball valve counterpart. This valve is great for long distance transportation service of crude oil and natural gas. This entry was posted in API 6D Valves, Gate Valves, NACE valves, Natural Gas, Oil and Gas and tagged Double block and bleed valves, Pipeline Gate Valves, Through Conduit Gate Valves, Thru Conduit Gate Valves on August 10, 2018 by gvcadmin. What does it mean to be API certified? Not only are our Trunnion ball valves API 6D certified but we also carry the API Q1 specification. This allows us to mark our valves. When you see this mark you will immediately know that GVC valves have been manufactured in a quality management system. What does it mean to be API 6D and API Q1 certified? Global Valve and Controls is recognized by API and other industries for our product quality. It also means that every single one of our products are marked therefore if any future questions arise of a valve we will know exactly which valve it is. What does it mean to our clients? Proof that our products are API as well as meet the specifications and our quality is consistent. Our clients are also aware that we have a management system in place that provides any assurances. In conclusion, we stand behind our products 100%! If you are not satisfied with our service or our products please contact us so that we can fix it immediately. This entry was posted in API 6D Valves, Ball Valves, Gate Valves and tagged API Q1 Valves, Double block and bleed valves, Flanged Ball Valves, Pipeline Ball Valves, Pipeline Valves, Trunnion Ball Valves on July 12, 2018 by gvcadmin.